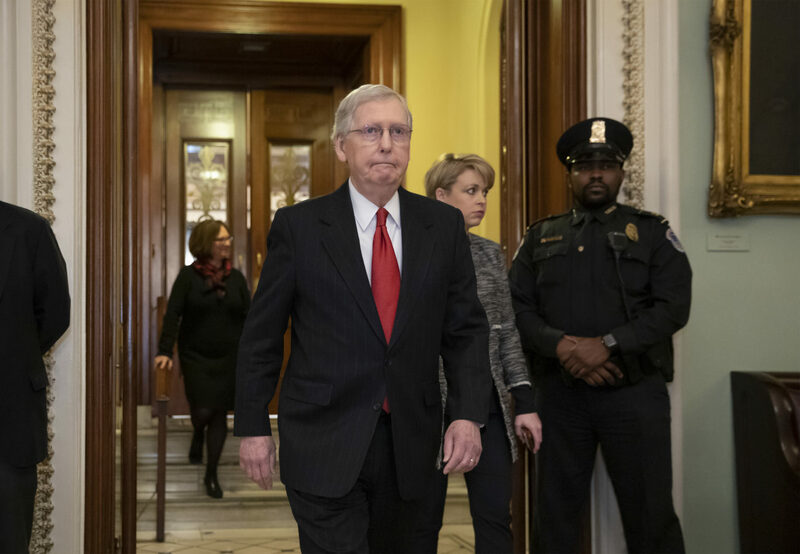 WASHINGTON — Controlling the Senate have scuttled a Democratic attempt to temporarily reopen the shuttered portions of the federal government. The measure would have reopened agency doors through Feb. 8 to give bargainers time to seek a budget accord, an approach that GOP leaders tried last month — only to be undercut by President Donald Trump. The Democratic measure had already passed the House, but fell short Thursday of the 60 votes required in the Senate to defeat a GOP filibuster. Polls have shown that the public is blaming Trump for the shutdown and his approval numbers have sunk as the impasse drags on. The partial government shutdown is now in its 34th day. Federal workers are on the verge of missing another paycheck Friday.